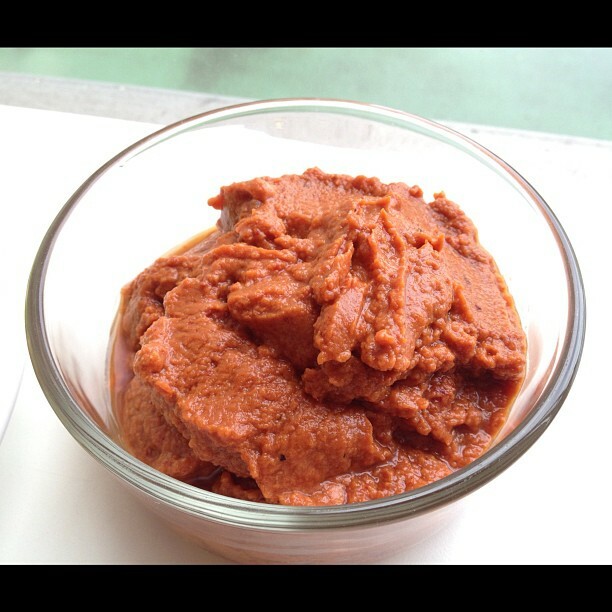 This is a delicious chunky raw marinara sauce sweetened, just a touch, by dates and sun-dried tomatoes. Those same two ingredients also help keep the sauce thick instead of thin like a soup. Enjoy it over spiralized zucchini/jicama/daikon radish/cucumber or even on a baked potato. If you don’t have a spiralizer, use a potato peeler to make long noodle-like strands. Add ingredients to a high powered blender, like the Blendtec and blend until smooth. If you don't have a high powered blender chop the dates and sun-dried tomatoes into thin slices and the tomatoes into chunks. Feel free to add in fresh herbs (basil, parsley, rosemary) if you have them available - otherwise, this is good to go as is! 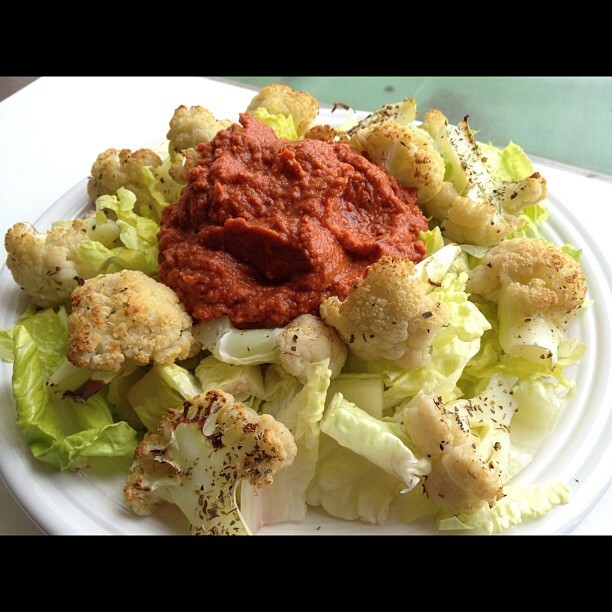 And as yet another option, serve over a bed of roasted cauliflower and romaine for a light but satisfying lunch. Sprinkle with pine nuts or hemp seeds for an extra crunch!